Radon – Can make its way from underneath the ground to a house through different cracks in the structure of the building. Cigarette smoke – If you smoke inside, you need to worry not only about the unpleasant smell but also about the dangerous tobacco chemicals. Sources of bio air pollution – Mold, mildew, viruses, fungi, bacteria, etc. Formaldehyde – Often used in the production of some types of upholstery and wood furniture, carpeting and floors. CO (Carbon Monoxide) – Can come from cooking and heating appliances that rely on wood, gas, coal or oil. NO2 (Nitrogen Dioxide) – Most common sources are fireplaces, cookers or water heaters that use gas. Others – Human and pet hair and dander, dust, etc. You do not need to suffer from asthma or to have young kids to take measures against these health threats and to fight back the indoor pollution in your home. You also do not need to be a scientist to do that, especially if you follow this guide. Clean or replace your furnace and air-conditioning filters regularly not just in the spring or the autumn. Also, thoroughly sanitize your ventilation system. You can do that by yourself but to ensure that there is no hidden buildup inside the vent, hire pros to take care of that task at least once a year. 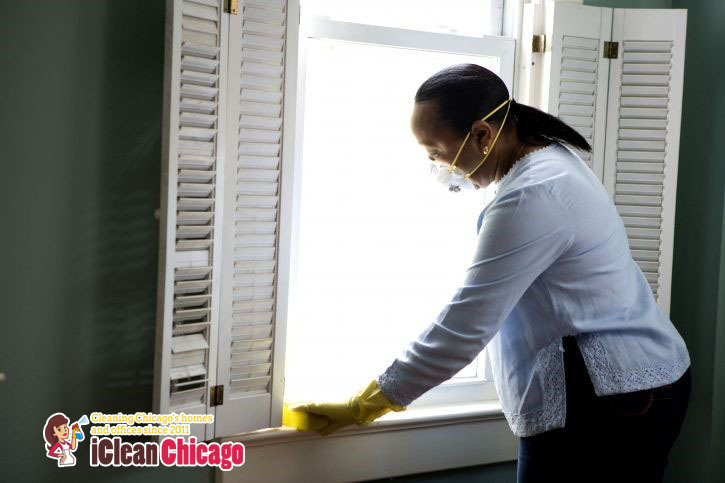 You won’t struggle to find cost-effective vent cleaning in Chicago. But do not stop here! Maintain every area and every inch of your house well-cleaned because dirty carpets, curtains, furniture can also contribute to the air pollution in your property. Modern-day cleaning supplies may be incredibly effective but many of them are also extremely toxic. The dangerous and aggressive chemicals which they contain pose a major threat to a person’s respiratory system. To keep yourself and your family safe, switch to eco-friendly, all-natural cleaning products or DIY solutions. One of the best ways to improve the air quality inside the four walls of your home is if you place at least a couple of plants in every room. Just make sure you water them regularly and they will do all the heavy work for you. It’s in their nature. Opening the windows every day to naturally ventilate your property is a rather obvious anti-air pollution solution but it is still underestimated by many homeowners in the country. Leaving the windows open for 10-15 minutes 2-3 times a day will keep pollution, dust, and mold at bay. And if you feel like having a quick smoke, take it outside.